Ask someone what they remember about last year’s Oscar broadcast and the one thing they’re likely to spit back at you is the Ellen selfie. Or maybe they call it the Bradley Cooper selfie, or the celebrity selfie. The one thing they won’t be calling it though, is the Samsung selfie. Which is a shame because it was Samsung who paid for and sponsored the shot. Samsung is just the latest in a long line of brands who missed their close-ups, who paid to sponsor or promote something and wound up getting zero credit for it. Let’s look at the Samsung example first, for it contains some excellent lessons. Samsung gave Oscar MC Ellen DeGeneres a Samsung phone to carry with her during the telecast with the understanding she’d use it to take photos and viewers at home would be impressed that a celebrity like Ellen was using a Samsung Galaxy. So what could Samsung have done differently? This is one case where subtlety is a no-no. 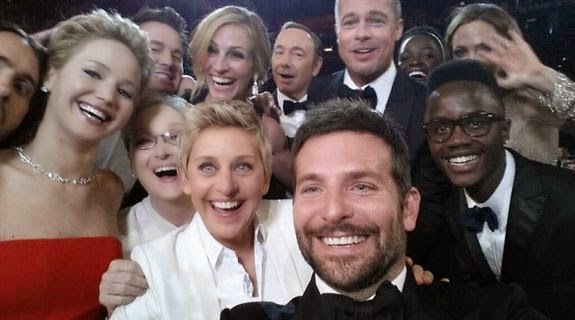 They should have had Ellen mention that she was taking photos with a Samsung Galaxy. Or at the very least included #Samsung as a hashtag. That way, what’s arguably the most famous piece of #CreatedWith content would have had some Samsung branding on it. As we wend our way through this year’s award show season, we’ve already started to get a feel for this season’s winners and losers: Nationwide was a big loser during the Super Bowl after their home safety spot #NationwideDeadKid very quickly turned into the sort of meme brands fear most. Target on the other hand, was a winner for its four-minute Imagine Dragons concert during the Grammys, the first instance of branded content advertising. — DON’T slap your logo on a promotion that has nothing to do with your brand . People won’t see your logo and they won’t know you’re behind it. And in the unlikely event they do see your logo, they won’t know why it’s up there. — DO make sure that the promotion is relevant to the people watching the show. A hockey themed promotion may be part of who you are, but unless it’s going to resonate with the Oscar audience, don’t go there. — DON’T do your own thing. If you’re piggybacking off of a show’s own promotion, don’t do your own (branded) version of it. The show’s version is fun and probably has a popular celebrity attached to it. Yours doesn’t. Guess who wins. — DO be entertaining. While that sounds super obvious, we’re always amazed how often brands assume their strategic marketing position is so compelling audience will wait with baited breath to hear it. You’re running during an award show about the movies with every star in Hollywood. You’ve got to bring your A game or go home. — DON’T be inorganic. Nobody likes a GMOP (genetically modified online promotion.) You want to strive to feel like a part of the program, not a bolted on side show.The more organic your promotion feels, the more likely it is to resonate with fans.